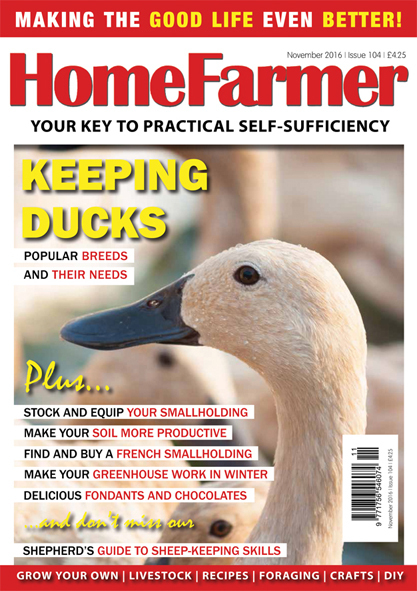 Jason writes regular articles for the Poultry section of Home Farmer Magazine, a great magazine that celebrates the home-grown & home-made lifestyle. His first article discussed how to give your hens a general health MOT. 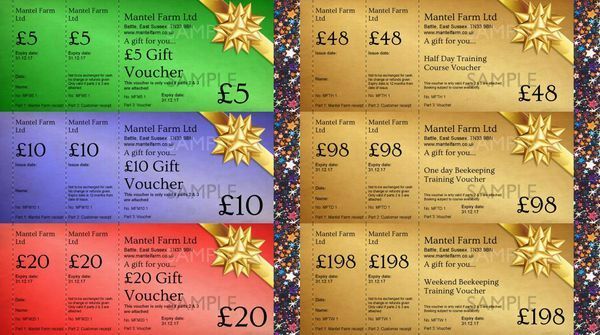 Following articles cover each topic in much more detail, from how to care for your hens in winter, to a cockerel guide, treating poultry for red spider mite, and everything in-between. 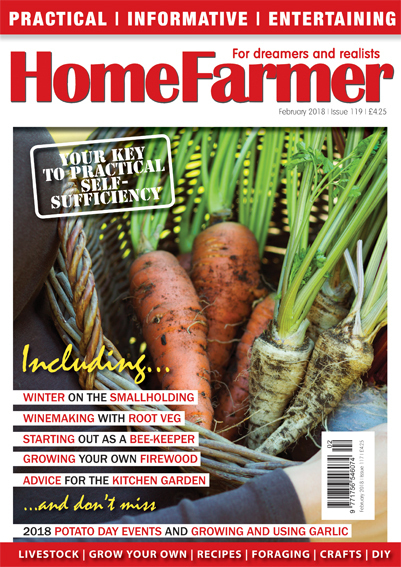 Home Farmer is a joyous, information-packed, multi-platform magazine that celebrates the home-grown and home-made lifestyle covering what you need to know to grow your own vegetables, keep a few poultry in the back garden and plenty of tasty recipes for using up the produce and making the most of seasonal food. They cover loads of DIY and crafty bits too! They are a proudly independent magazine run by Ruth and Paul from our converted garage/home office. It is a polished magazine, well designed and printed on high quality paper. The often specially commissioned contents are written with passion and integrity whilst retaining the intimate "over the garden fence" feel which doesn’t preach - in fact they often take the mickey and dare to be different giving us a readership that is both loyal and passionate and a magazine that is lively, human and much loved. 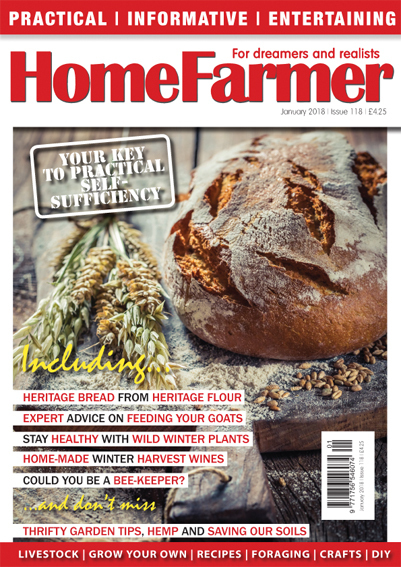 Home Farmer describe themselves very much as a magazine for the kitchen table rather than the than coffee table, and each issue targets what you need to know to get the job done with simple step-by-step instructions, features and honest accounts of people trying to live their dreams either in the country or town. July 2018. This month Jason covers the needs of your flock during periods of hot weather. June 2018. This month Jason covers keeping a well-fed flock. May 2018. This month Jason continues Starting with Poultry. April 2018. This month Jason discusses Starting with Poultry. March 2018. This month Jason discusses how to transport your Poultry. January 2018. This month Jason has covered the benefits (and problems) associated with keeping a cockerel. December 2017. This month Jason discusses how to help your hens stay healthy during the colder winter months. November 2017. This month Jason discusses how to keep your poultry (and other animals) safe from Mr. Fox. October 2017. This month Jason talks about all of the possible scenarios involved when integrating new birds. September 2017. This month Jason talks about the steps to take care of your poultry with the summer coming to an end. August 2017. This month Jason declares war on the red spider mite - undoubtedly poultry enemy number 1 for most keepers in the warmer months. Learn how to prevent and combat it. July 2017. This month Jason looks at some tiny pests that can make your birds' lives a misery, and how to both treat and prevent them. June 2017. This month Jason tells us how to carry out a comprehensive health check on your birds - a "poultry MOT", if you will.